Global automotive and industrial supplier Schaeffler presented its interim report for the first half of 2018 today. The Schaeffler Group’s revenue amounts to approximately 7.2 billion euros (prior year: approximately 7 billion euros) at mid-year. At constant currency, revenue increased by 5.8 percent during the period, 7.9 percent in the second quarter. Once again, all three divisions and all four regions contributed to the group’s revenue growth at constant currency, with the Greater China region reporting a constant currency growth rate of 18.7 percent, the largest increase by far. The Schaeffler Group generated earnings before financial result and income taxes (EBIT) of 773 million euros during the first six months; second quarter EBIT was affected by a special item of 22 million euros related to the restructuring expenses for the integration of the internal supplier “Bearings & Components Technologies” (BCT) announced on May 07, 2018. As a result, EBIT before special items amounted to 795 million euros (prior year: 780 million euros). This represents an EBIT margin before special items of 11.1 percent (prior year: 11.1 percent). Klaus Rosenfeld, CEO of Schaeffler AG, commented on the performance of the business in the first half of the year: “In a persistently challenging environment, we are on track to meet our targets for 2018. Our earnings were primarily driven by the solid performance of the Automotive Aftermarket and Industrial divisions. In addition, the trend for the first six months demonstrates that, as an automotive and industrial supplier, we are properly positioned strategically”. The Automotive OEM division generated approximately 4.6 billion euros in revenue in the first six months. At constant currency, revenue increased by 4.8 percent compared to the prior year, a growth rate 3.1 percentage points higher than the average growth in production volumes of passenger cars and light commercial vehicles for the same period. Absolute order intake rose to 8.3 billion euros (prior year: 4.7 billion euros) during the first six months. The book-to-bill ratio, which represents the ratio of order intake to revenue for the year, increased to 1.8x (prior year: 1.1x) during the same period. All four of the Automotive OEM division’s business divisions contributed to its revenue growth, with the E-Mobility business division reporting the highest revenue growth rate at constant currency, 7.7 percent, in the first half of 2018. At 13.4 percent, constant currency revenue growth was once more particularly significant in the Automotive OEM division’s Greater China region, followed by 4.0 percent in the Asia/Pacific region, 3.7 percent in Americas, and 2.4 percent in Europe. The division generated 424 million euros (prior year: 483 million euros) in EBIT before special items in the first six months, bringing the EBIT margin before special items for the same period to 9.2 percent, less than the prior year margin of 10.7 percent. The decrease was primarily attributable to ramp-up costs, project delays in China, increased raw materials prices, and one-time items. These items were only partially offset by higher volumes and efficiency gains. Based on the encouraging volume of orders for the second half of the year, the division still expects to generate revenue growth of 6 to 7 percent at constant currency and an EBIT margin before special items of between 9.5 and 10.5 percent for the full year 2018. Following a temporary drop in revenue in the first quarter, the Automotive Aftermarket division increased its revenue significantly by 12.3 percent at constant currency in the second quarter, thus generating 925 million euros (prior year: 928 million euros) in revenue for the first half of 2018. At constant currency, revenue rose by 3.6 percent during the first six months of the year. The Greater China (39.8 percent) and Asia/Pacific (15.9 percent) regions reported the strongest constant currency growth in this division as well, followed by Europe (5.4 percent). Revenue in the Americas region declined on an adjusted basis (minus 8.9 percent) due to non-recurring additional requirements of an Original Equipment Services (OES) customer in the prior year period. Overall, the division’s growth was mainly driven by demand in the open (independent) market, the Independent Aftermarket (IAM). The Automotive Aftermarket division’s EBIT before special items for the first six months amounted to 176 million euros (prior year: 161 million euros), including a favorable one-time item in the second quarter related to reversed provisions. Based on this EBIT, the EBIT margin before special items was 19 percent (prior year: 17.3 percent). The group continues to expect the Automotive Aftermarket division to generate revenue growth of 3 to 4 percent at constant currency and an EBIT margin before special items of 16.5 to 17.5 percent in 2018. The Industrial division increased its revenue to approximately 1.7 billion euros (prior year: approximately 1.6 billion euros) during the first six months of 2018. At constant currency, revenue growth amounted to 10 percent and was primarily driven by Industrial Distribution. Especially the railway, raw materials, offroad, and power transmission sector clusters contributed considerably to the higher revenue as well. By far the largest increase was achieved by the Greater China region (36.7 percent), ahead of Americas (6.9 percent), Asia/Pacific (6.7 percent), and Europe (5.9 percent). The Industrial division generated 195 million euros (prior year: 136 million euros) in EBIT before special items for the first six months, representing an EBIT margin before special items of 11.6 percent (prior year: 8.6 percent). The improved margin is attributable to the favorable impact of economies of scale and pricing, as well as to efficiency gains and cost savings resulting from the program “CORE”. Based on current assessments, the Schaeffler Group is raising its guidance for the Industrial division’s constant currency revenue growth for the full year 2018 from previously 3 to 4 percent to 6 to 7 percent. The target for the EBIT margin before special items of 9 to 10 percent remains unchanged. Net income attributable to shareholders for the first half of 2018 rose slightly compared to the prior year period, amounting to 509 million euros (prior year: 485 million euros). Earnings per common non-voting share were 0.77 euros (prior year: 0.73 euros). Free cash flow before cash in- and outflows for M&A activities of minus 74 million euros for the first six months was slightly better than the corresponding prior year amount (minus 86 million euros). Capital expenditures on property, plant and equipment and intangible assets for the first half of 2018 of 595 million euros were approximately flat with prior year (prior year: 594 million euros), representing a capex ratio of 8.3 percent of revenue (prior year: 8.4 percent). “As in the prior year, the Schaeffler Group’s free cash flow is primarily generated in the second half of the year. 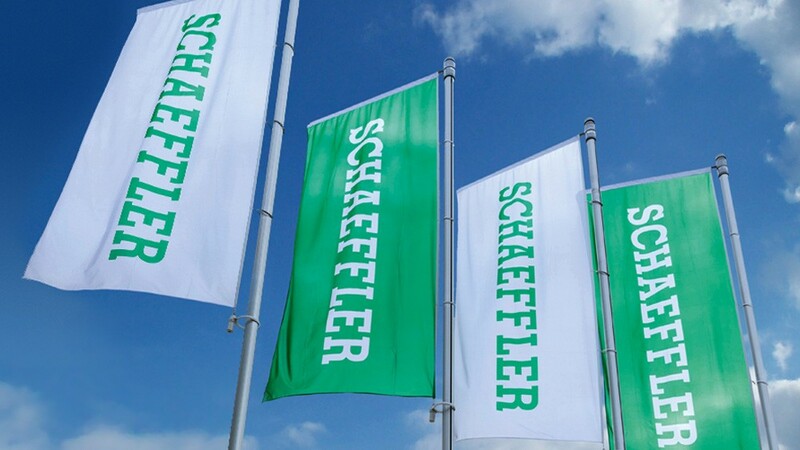 Based on current estimates we are optimistic that we will meet our full-year target of approximately 450 million euros before cash in- and outflows for M&A activities,” said Dietmar Heinrich, CFO of Schaeffler AG. Net financial debt as at June 30, 2018, increased by 463 million euros, raising the gearing ratio, i.e. the ratio of net financial debt to shareholders’ equity, to approximately 107 percent (December 31, 2017: 93 percent). 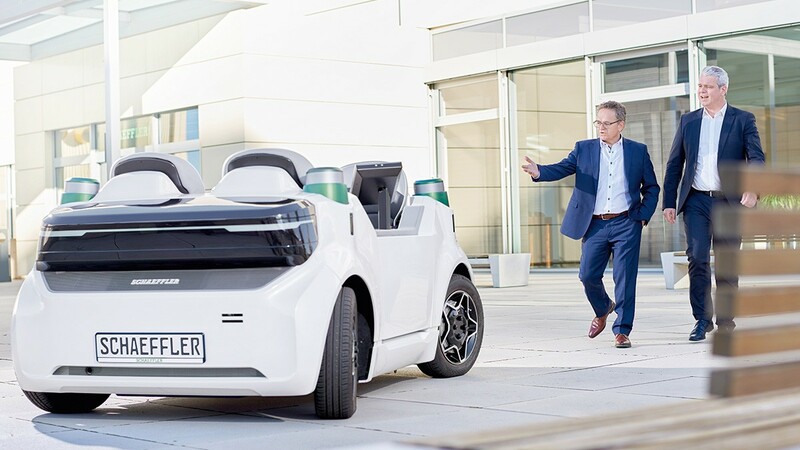 As at June 30, 2018, the Schaeffler Group had total assets of approximately 12 billion euros (prior year: approximately 11.1 billion euros) and employed a workforce of 92,198 (prior year: 87,937), an increase of approximately 4.8 percent. For the full year 2018, the group continues to anticipate revenue growth of 5 to 6 percent at constant currency, an EBIT margin before special items of 10.5 to 11.5 percent, and free cash flow before cash in- and outflows for M&A activities of approximately 450 million euros. “We recognize that our business environment remains demanding and fraught with uncertainty in the coming six months as well. Nevertheless, we are confirming the outlook for the Schaeffler Group for 2018 with a slight increase in the revenue guidance for the Industrial division,” Klaus Rosenfeld stated.